Blue Lagoon in Vang Vieng, Laos is just about 8 Kilometers from the city center and it’s in the Tham Phu Kham cave park area. 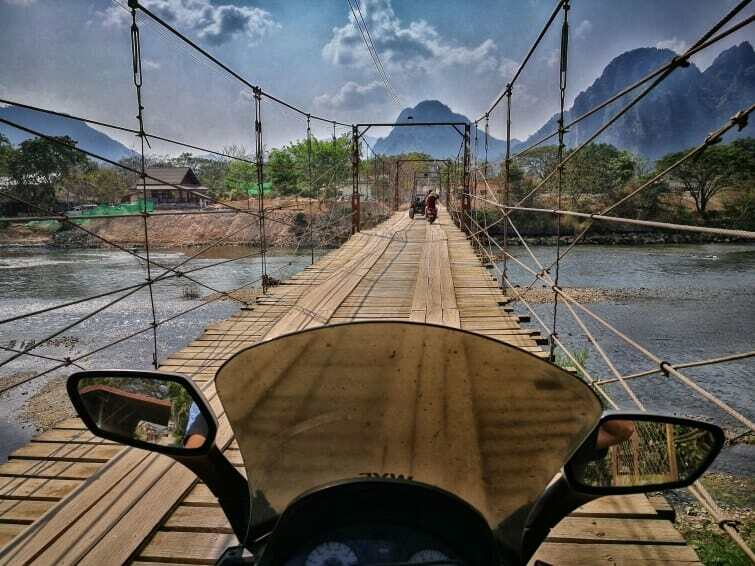 To get here, you will first need to pay 2,000 Lao Kip for the bridge entrance into the lagoon. 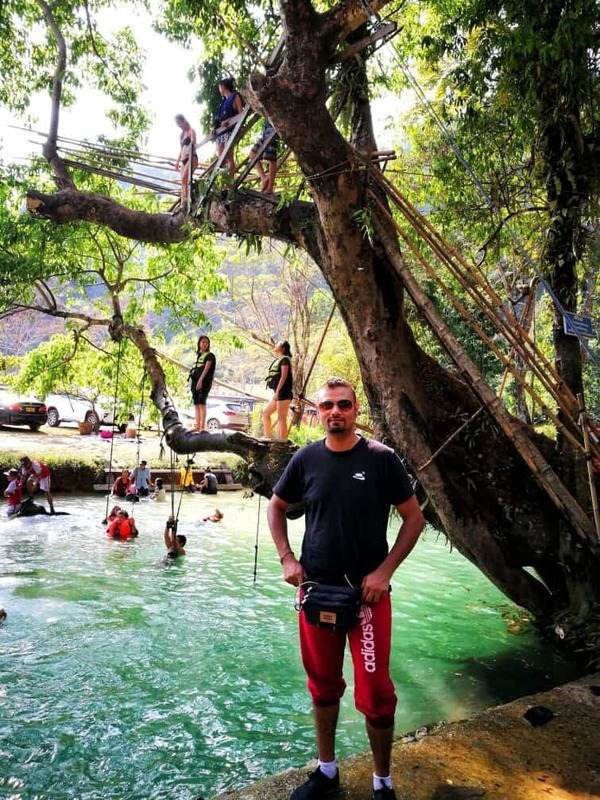 It will cost you a further 10,000 Lao Kip to access the blue lagoon which includes access to the Tham Phu Kham Cave which shuts at 16:00 hours. I arrived late and didn’t have the time to go but I heard it is quite interesting with a challenging vertical rock stairway and bamboo hand rails for extra safety. It was nice as I dived into the water from one of the tree trunks and there was a swing hanging from one of the trunks in the water. 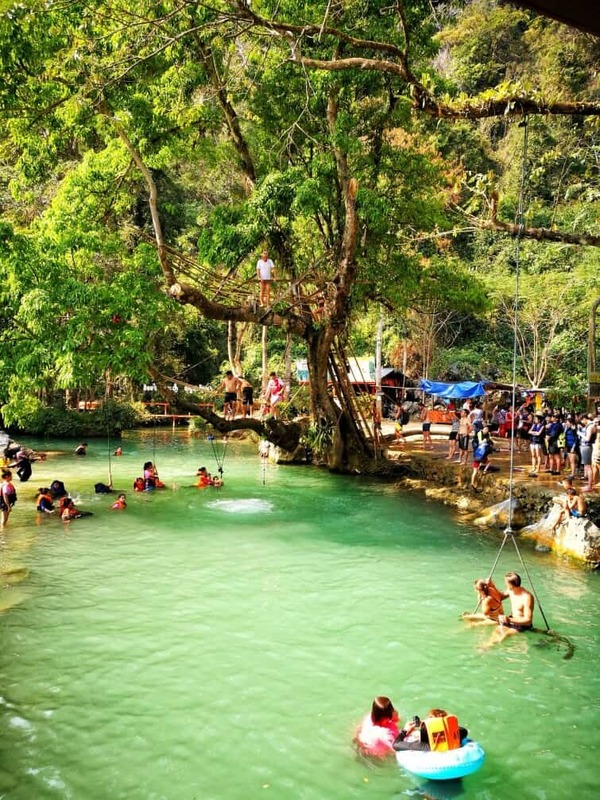 Check out the video below of Blue Lagoon in Vang Vieng, Laos. Honestly, the lagoon is just alright and nice. I didn’t spent much time here as it became overcrowded and touristy. The car park full of minivans and tuk-tuks is right next to the lagoon, there are giant inflatable balls to avoid in the middle as you swim/dip and a plastic slide has been installed at the back. Perhaps, if you go early you might have a different experience.